Pride and Prejudice is my very favorite book. It says so right in my bio for this site. I’ve read it dozens of times and love every bit. But I’m not overly precious about adaptations or modern takes–I really like seeing how someone takes such classic material and uses it to say something new, or just puts their own spin on a good story. Now, some re-purposings of the Bennet family have worked better than others. Bridget Jones’s Diary is another of my favorite books and I think it is absolute genius, and the Bollywood movie version Bride and Prejudice is completely delightful. 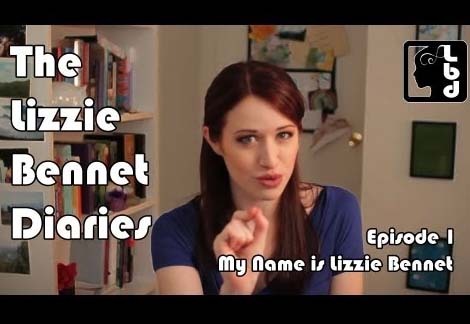 And of course we are all big fans of the Lizzie Bennet Diaries here on Biblio-therapy. But I deeply, deeply disliked Austenland and I don’t even want to talk about Pride and Prejudice and Zombies. I tell you all this so you understand that I am a discerning consumer when it comes to the Jane Austen industry, as it were, and I am heartily recommending Longbourn by Jo Baker. The one sentence summary sounds very Upstairs, Downstairs or Downton Abbey—Longbourn is about what the Bennet family servants were doing during the action in Pride and Prejudice–but Baker has taken what could have been just a cute idea and turned it into a really thoughtful story about complex, layered people. Now the hook for the reader, of course, is how the story in this book will line up with the action we’re all familiar with, and how Baker writes about well-established and -loved characters like Jane and Lizzy. And don’t worry, the Pride and Prejudice fan will find plenty of things that mirror the classic. For example, when Mr. Collins comes to visit, the servants are all very concerned that they make the best impression possible, since when he takes over Longbourn he could chose to fire them all. And a few of the Bennets who don’t get the most sympathetic treatment in the book (including Mrs. Bennet and Mary) have an opportunity to show the reader a softer side. But what I found most impressive is that the heart of this story is the entirely new characters Baker creates from the ghostly background characters that Austen mentioned in only in passing and generally not even by name. While the Bennet girls are sorting out their marital futures, the Longbourn servants are dealing with their own dreams and struggles. Sarah, the maid, dreams of life beyond the structured, never-changing Bennet house. Hill, the cook, has built her whole life at Longbourn, but struggles with what she has given up to create a peaceful space for thew family she’s assembled and how fragile a life spent serving others can be. And James, the mysterious new footman, wants to escape his past and fit into his new household. The beginning of the book describes a life so peaceful and prescribed that it cast a spell over me, lulling me into the quiet rhythms of an English country house. But as Lizzie’s story picks up speed, so does the action below stairs, and the fates of these characters ended up feeling as dramatic and important as anyone’s should be. While the plot of the book hangs on the structure of Pride and Prejudice, Baker’s story takes on its own life. I enjoyed her take on the behind-the-scenes in the Bennet household, but her characters stuck with me after the book was done and Longbourn is worth reading for their sake. Kinsey’s Three Word Review: Contemplative modern take. You might also like: Well, Pride and Prejudice obviously, if you haven’t read it. It really is lovely. But there was also something about Baker’s writing–the deliberate calmness, maybe–the reminded me of Ann Patchett, so you might want to try Bel Canto or State of Wonder.